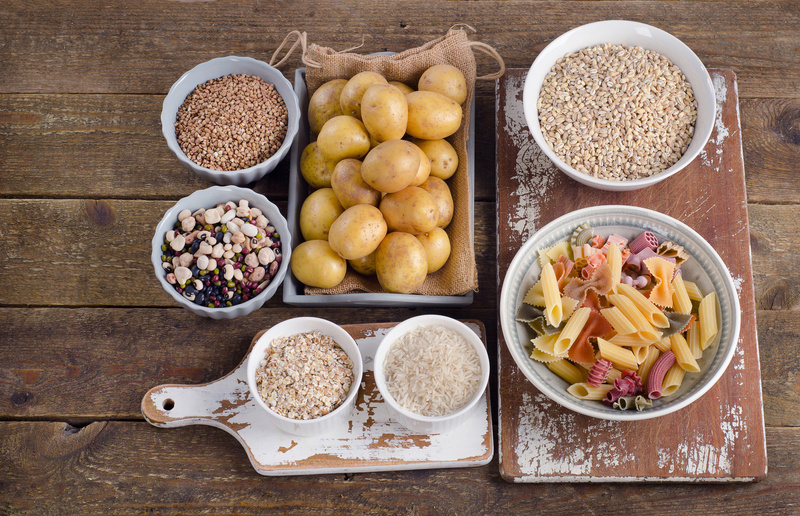 If you’re looking to become a better runner, then you need to know your carbohydrates. Otherwise, your running performance will be in great trouble. In fact, understanding the complex nature of these nutrients might be the most essential topic in runners nutrition. So, what are carbohydrates? What’s the difference between the good carbs and the bad carbs? How much do you need? Etc. These are some of the questions I’ll try to answer in today’s post. In this article, we will explore what carbohydrates are, how their intake affects running performance, and how to determine your needs for running. At the end of this article, you’ll find a long list of common carbohydrates sources along with the exact content in gram per serving. This is helpful whether you’re trying to lose weight, training for your 9th marathon, or anything in between. So, are you ready? Then here we go. Also known as saccharides, carbohydrates, or carbs for short, are your body’s preferred source of energy that fuels both your muscles and brain. Along with proteins and fats, carbs are one of the primary macronutrients. These, in essence, are the substances your body needs in large quantities to keep your metabolism humming and body functioning. Carbohydrates include sugars, cellulose, starches, and a host of other compounds found in living organisms. These occur naturally in plant-based foods, such as grain, such as grains. That said, not all carbs found in different foods are the same. The fact is, most foods contain more than one, or a mix of carbs, proteins, and fats, in different amounts and ratios. For that reason, the science of nutrition is not something you can tackle overnight. That said, if you want to learn more about the topic, then make sure to visit my nutrition page. Chemically, carbohydrates are organic molecular compounds made from three elements: carbon (C), hydrogen and oxygen (H2O), with a ratio of hydrogen twice that of oxygen and carbon. The simple carbohydrates—the monosaccharides and disaccharides (mostly sugars). Both types, as we are going to see, differ in their chemical structure and the impact they have on your body. Unlike the two other macronutrients—protein and fat—carbohydrates are, mostly, not used structurally in the body. In fact, carbs are the only nutrient that exists for the sole purpose of powering your body. They, almost exclusively, serve to provide cells with the needed fuel to carry out vital functions, such as muscle contractions. Think of carbohydrates as your body’s primary source of crude oil. When you consume foods containing carbohydrate (except fiber), your body breaks it down and converts it into glycogen (a form of glucose), then stores in your muscles, liver, and bloodstream. These stores act as fuel to make energy—just like high-octane unleaded gas. So, when you start exercising, the glycogen stores are converted into energy that contracts the working muscles. The longer and/or harder you run, the more glycogen you use up. For most people, glycogen stores are depleted after a 90- to 120-minute effort (think long runs). For that reason, these stores can only fuel you up to two hours of moderate exercise. What’s more, when you consume more carbs than you use up, the excess is turned into fat (stored energy for later use). That’s why too much of this macronutrient is not a good thing (and one of the reasons low carb-diet are so popular). On the other hand, if you burn up more glycogen than you replace, your stores will get depleted. When these reserves are worn-out, so do you. Firstly, your blood oxygen level will suffer, you’ll feel sluggish, fatigued and unable to maintain training intensity. Then in the final stage, you’ll hit the infamous wall and can go no further (especially during prolonged and/or intense exercise). For that reason, as a runner, you need to keep these stores topped up by eating plenty of the right carbohydrates. Not all carbohydrates are created equal. These “sugars” can be divided into two main forms: the simple and the complex. This classification depends on the carbohydrate’s molecular structure, which has a drastic effect on how they are digested by your body. If you think that soda cans and chocolate bars would be in this category, you’re right. Also known as the bad carbohydrates, simple carbs include all the monosaccharides—containing one sugar unit, and disaccharides—containing two sugar units. Simple carbs are tasteful and ideal for a short-term energy boost as they require no further breakdown from enzymes and thus, are quickly absorbed into the blood stream. That might sound like a good thing, but there is, as we are going to learn shortly, a huge downside to it. In most cases, monosaccharides and disaccharides have been processed, in one form or the other. In fact, these typically contain more than one processed item or at least items with a lot of artificial sugar and chemical ingredients. As a result, simple carbs are low in fiber and nutrients, and offer little more than calories regarding overall nutrition. For that reason, these carbs are usually referred to as empty calories. Said otherwise, simple carbs are your typical junk food. Rich in calories and (bad) fats, but no essential nutrients. Simple carbs, as far as science says and experience dictates, are the worst offenders. Research has revealed that consuming these carbohydrates can lead to a host of health problems like type 2 diabetes, obesity, etc. So, as a rule of thumb, avoid these carbs, except on occasional indulgences or cheat days. (Practically every food item you need to avoid if you’re serious about reaching your fitness and health potential). Complex carbs, also known as polysaccharides, are starches made up of long chains of simple sugar units bonded together known as saccharide chains. Also, these carbs are made from longer molecules chains than their simple counterpart. 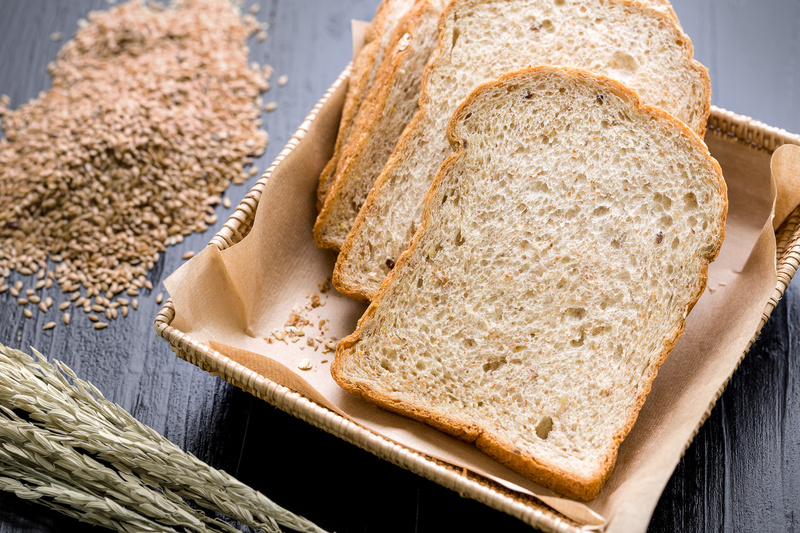 For this reason, complex carbs take longer to break down and get digested by your body. Hence, they can provide slow and steady energy over a sustained period, which is a good thing if you ask me. In general, complex carbs are unprocessed (or slightly processed) and still contain a variety of essential nutrients and fiber found naturally in the food. What’s more, complex carbs are low to moderate in calorie density. This means that you can consume filling amounts and satisfy your hunger, but not worry about throwing your whole nutrition balance and calorie intake out of whack. And other fresh and dried fruits. Carbohydrates have managed to get a bad rap, especially ever since the introduction of carb-restricting nutrition schemes some 20 years ago. In fact, although carbohydrates are one of the basic macronutrients, there is always some new carb cutting diet rising in popularity, promising great weight loss results in the shortest time possible—as long as you’re willing to kiss goodbye all types of carbohydrates. Low carb eating plans—made famous by the Atkins diet, the south beach diet, and other faddy “weight-loss” schemes—are well known for their effectiveness when it comes to weight loss, according to plenty of research. There are different types of low-carb diet, and each has its unique take and philosophy on the amount of carbohydrates allowed. But the common theme is that most low carb diets shun carbohydrates while allowing for plenty of dietary fats and proteins. In fact, when you’re on a low-carb diet, carbohydrates should not make up more than a third of your total calorie intake. Instead, you are encouraged to limit or replace foods rich in carbohydrates or substitute them with foods high in proteins, fiber, and fats. As previously stated, there is substantial scientific evidence that a low-carb diet might help people shed the pounds (and help them keep the pounds off). According to a study published in the Journal of Clinical Endocrinology & Metabolism, a group of healthy but clinically overweight women were chosen randomly to either follow a low-carb or a low-fat diet for a period of six months. The result: The low-carb group shed more pounds—roughly 2.2 times as much. In fact, this group lost an average of 18 pounds while the low-fat group dropped no more than 8 pounds, on average. If you are serious about diving a little deeper into the science, then check this awesome source. Under normal conditions, your body taps into its glycogen stores for fuel. But when you restrict carbs, your body enters into ketosis. This is a natural metabolic state in which the body produces ketone bodies out of fat, then uses them up for energy instead of carbohydrates (or glycogen stores to be more precise). In other words, your body is almost completely fueled by fats when you’re in a ketosis state. This is normal during fasting, or when opting for a super low-carb diet, such as the keto diet. With that said, low carb—or no-carb- diets are not the silver bullet. In fact, eradicating all types of carbohydrates from your life will do more harm than good—even if losing weight is a priority. Runners got more to lose. If you are just starting out, increasing your training volume all of a sudden, or preparing for a serious race, shunning carbs will definitely hurt both your performance and health status. And you don’t want that. Don’t get me wrong. I’m by no means against low carb diets (when done right). In fact, as I have stated in a previous post, I’m a big fan of the Paleo diet. They have worked well for me in the past, and chances, if you are looking to lose weight, they’ll work for you too. But, as a runner, you need carbs, the right carbohydrates, in your life if you are serious about reaching your full running potential. Just keep in mind that what matters most is the type, quality, and quantity of carbohydrates. So, if you still want to give low-carb eating a shot, here are some of the few precautions you need to take. First, check with your doctor or certified nutritionist to see if it’s ok for you. If you are a complete beginner, forget about low-carb diets. Instead, focus on building the right endurance foundation. After a few months (or years) of training, feel free to experiment with low carb regimens and see where that takes you. Next, reduce your running volume until you’ve been following a low-carb diet for at least two to three weeks. That’s how long it should take your body to adapt to the new regime. During the first two weeks, your body is still slowly adjusting to the new state of ketosis—and that does not happen overnight. For serious runners, try to change your diet during your off season. No need to compromise your racing results. In case you are feeling (unusually) exhausted during your runs, consider upping your carb intake. Or, if it’s all possible, consult a certified nutritionist to discuss alternative nutrition plans or workouts. As you might have read in my post about the Paleo diet, as a runner, you can balance a low-carb diet and training by following a timed low-carb diet. 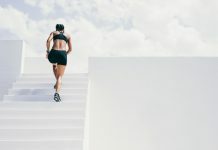 The diet timing approach involves consuming the right amount of carbohydrates before, during (for runs exceeding 90 minutes), and immediately after each workout. (Even if you are on a low carb diet, you need to fuel your body both before and after your runs to improve performance and speed up recovery). Then, during the rest of the day, and non-running days, you focus on low carb meals and foods. Have a carb-rich pre-run snack 90 to 120 minutes before your workout to ensure your muscles are well fueled. Check my posts here, and here, for some of the best pre-workout meal and snack ideas. Then, immediately post run, have a protein and carb-rich snack or meal to replenish your energy stores and get the recovery started. Check my post here for some of the best post workout meals and snacks. For more on that approach, check my Paleo guide here. According to the Institute of Medicine, the recommended dietary daily allowance for carbohydrate is about 130 grams per day. This is the bare minimum required to fuel your brain, central nervous system, and red blood cells. But as a runner, you’ll need, definitely, more than 130 grams per day. In fact, your carbs needs in grams will vary according to many factors, including your training level, training intensity, fitness goals, and personal physiology and preferences. As I keep saying, carbs needs are not a one-size-fits-all thing. You got to find what works the best for you. So, are there any general guidelines when it comes to runners carb intake needs? As a rule of thumb, you should consume an amount of carbs every day based on your body weight. According to experts, this recommended daily requirement is about 2 to 4 grams per pound of body weight. As a general guideline, simply multiply your weight in pounds by 3.2 (or multiply your weight in kilogram by 7). The resulting sum will yield a rough estimate of grams of carbohydrates you should eat each day. Once you have a rough estimate, break down that amount into the proper portions, then spread it out over the day. 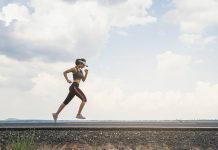 This might translate to roughly 80 to 100 grams of carbs at three meals, a couple of healthy snacks, and some carbs while exercising—especially runs exceeding 90 minutes. Or, if you are a serious runner, determine your daily needs by assessing your training volume/intensity. Use the guidelines below to guesstimate your general daily needs. Just keep in mind that one gram of carbs contains four calories. Low to moderate intensity training—45 to 60 minutes a day. 2 to 4 grams of carbohydrates per pound (or 4 to 8 grams per kilogram) of body weight. 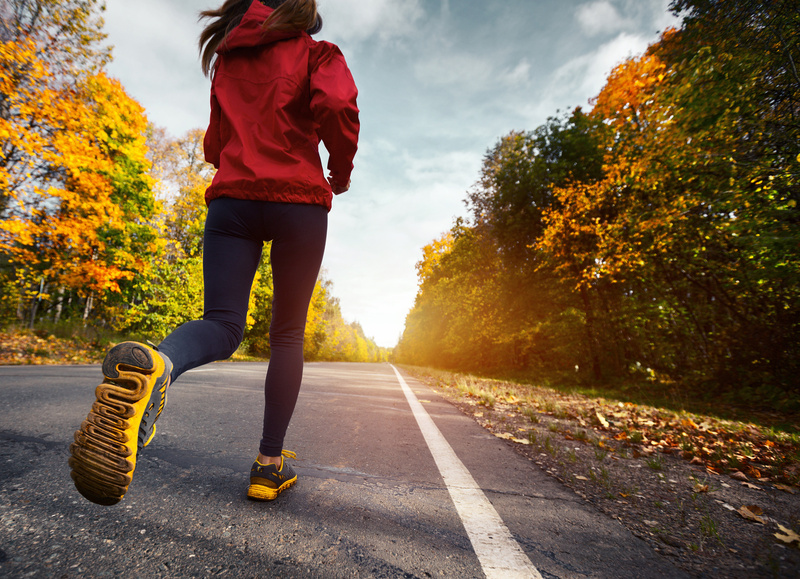 Moderate to somewhat intense endurance exercise—60 to 120 minutes a day. 2.5 to 5 grams of carbohydrates per pound (or 5 to 10 grams per kilogram) of body weight. High-intensity endurance exercise. Over three hours a day. 4 to 8 grams of carbohydrates per pound (or 8 to 16 grams per kilogram) of body weight. These are suggestions taken from the 5th edition of the Manual for Professional. Academy of Nutrition and Dietetics, Chicago, IL; 2012. For example, if you weigh 180 pounds and engage in relatively intense endurance exercise, running and cross training for at least one to two hours every day, then you’d need something in the range of 450 to 900 grams of carbs each day. Experts recommend that just over a third of calories should come from starchy foods, such as bread, potatoes, pasta, and rice, and another third from vegetables and fruits. That translates to 55 to 65 percent of your daily caloric intake coming from carbohydrates sources—preferably the complex kind. In other words, starchy foods, vegetables, and fruits should make up over half of your daily calorie intake and diet. The key to determining your carb intake needs is to calculate calorie intake first, then dividing it into the right proportions ( the same thing can be said about the other, other macros). Multiply the average number of calories you consume in a day by 0.55 to 0.65 (the lower and upper limit of carb consumption). This helps you work out the average amount of calories from carbohydrates. Divide the number of calories from carbs by 4 (carbohydrates contain four calories in each gram). For example, for a 2,300-calorie diet, Make sure that least 1300 to 1500 of your calories come from carb sources every day. That translates to roughly 320 to 370 of grams of carbohydrates. Plan your meals and portion sizes around your daily carb needs. Although carbs are found in many foods, focus on getting them from vegetables, fruits, whole grains, and low-fat dairy products to receive the greatest nutrition bang from carbohydrates. As a general guideline, shoot for at least 12 servings of grain products, 8 to 10 servings of vegetables, 6 to 8 servings of fruits and no more than four serving of low-fat dairy foods. Vegetables: all of them. For more, consume a variety of vegetable every day. Legumes: peas, lentils, kidney beans, etc. Fruits: strawberries, apples, bananas, etc. Nuts: walnuts, almonds, peanuts, macadamia nuts, etc. Seeds: pumpkins seeds, chia seeds. Here is a list of some of the most common sources of carbohydrates, along with portion size and exact content.